How Does Your Mattress Compare to a Hotel Bed? David Perry, a writer for Furniture Today, recently brought up a subject matter that I repeatedly end up discussing with potential consumers – how does their own bed compare to a quality hotel bed. I am a firm believer in the idea that a couple of nights on a certain hotel mattress doesn’t always equal the best mattress choice for purchasing. In fact most people in my opinion don’t really understand how worn their mattress really is. Mattress Firm has been stressing the importance of replacing exhausted worn-out mattresses with their “If your mattress is over eight years old, it’s time to replace” marketing campaign. Recently a question that had never been posed before was asked of consumers: Compare your current mattress to that of quality hotels in which you have recently stayed. As a salesman I guess I am biased because I wasn’t looking at the bigger picture like this question did, I was only addressing the few people complained that their mattress didn’t feel as good as the hotels they stayed in. The question addresses a common industry belief that people should consider replacing their mattress if they are sleeping better in a hotel than they are on their own bed. This is advise I don’t disagree with. The recent survey results showed a strong liking to the quality of beds they owned personally compared to those at hotels. 55% of the people surveyed said the sleep experience in their own bedroom was better. Surprisingly only 16% said the mattress sleep experience was actually better at a quality hotel. Interestingly, when asked about the bedding they nestle up in – like pillows and sheets – the results were very similar. An overwhelming majority of the people polled said that the sheets and pillows used on their own mattresses provided an overall better sleep experience. In recent years not just quality hotels but hotels in general have committed to looking for new ways to gain a a competitive edge. Their commitment to step up their game and commit to higher quality mattresses, sheets and pillows have been a very large part of their marketing strategy. Even with the bar now set higher, consumers still said that their own bedding more than meet the challenge of the question asked. This is a win win for nearly everyone but the hospitality industry. 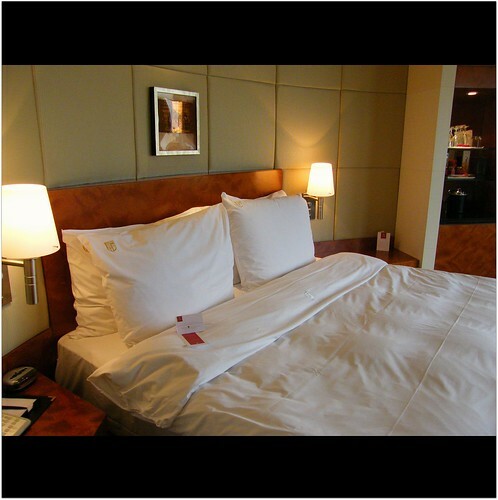 Mattress owners are generally pleased with their mattresses, especially when compared to the beds that they experience while sleeping at quality hotels. Perhaps in light of all the negatives concerning mattress shopping, overall their experience has produced good mattress shopping results for them in their own bedroom.